not something to be chased or bought. single day, with my own two hands. As you may have noticed, Joyfully Jobless News has been on hiatus while I’ve been humming “You’ll Be Back” from Hamilton. I didn’t just frivolously abandon you, however. Not to brag, but I’m a terrible at multi-tasking. I’ve tried and I’m hopeless. Consequently, when I was concentrating on the major parts of my business, I was completely neglecting the two books I had begun writing. Weeks passed without adding a single sentence to either of them. The solution I arrived at was to practice benign neglect on several areas of my business while giving my full attention to new projects. Happily, this shift in attention worked. One of my manuscripts is nearly finished and the other is well on its way. Although I intend to stay in touch, I promise not to fill up your mailbox unless I have something to say. 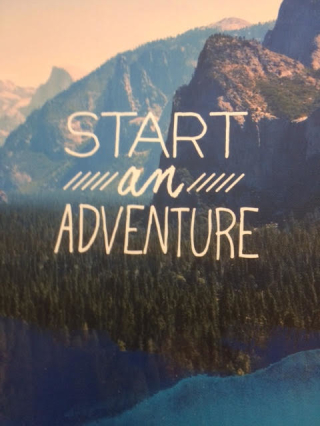 I will be back soon to share one of the best ideas I’ve found for getting things done and creating new adventures. Stay tuned. 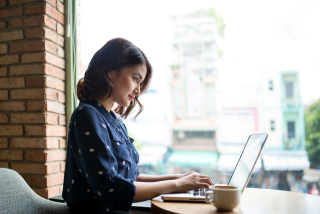 If you’ve ever dreamed of writing a bestselling book, particularly a business, psychology, health or other non-fiction book, then here is something that can make that dream come true for you. 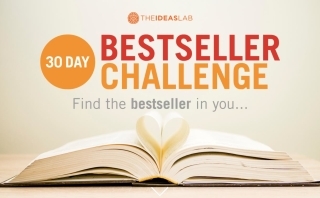 My friend and bestselling author, John Williams, is running a one-off program called The 30 Day Bestseller Challenge to find the bestseller in you, start writing it, and get 30 days of advice from experts including a literary agent, commissioning editor, self-publishing guru, and bestselling authors. And you'll have the momentum and support of a global online community of book-lovers just like you to help you write. If that sounds like your idea of heaven, John has very kindly offered a special discount voucher for me to share with you that will save you a third off a spot on The 30 Day Bestseller Challenge - but only for the next 4 days! Read all the details here and enter the promo code SPECIAL during checkout to save 33%. But don’t dither! This terrific event starts on November 1. Reframe the way you think about a current job, if you have one. Stop thinking that your job is a permanent condition. Instead think of it as your first profit center in your growing portfolio. Consider it the one that allows you to generate cash flow while you create your next one. Thinking of yourself as a service provider, not an employee, will change your relationship with that work. If you start thinking of your job as a profit center, chances are greater that you’ll be saying good-bye to it sooner.